The remainder of August will be a very exciting and busy time for Morbid Anatomy Presents at Observatory. The weeks ahead will bring a New Zealand-based medical museum curator giving a virtual tour of his collection, Wellcome Collection curator Kate Forde lecturing about popular anatomical museums of 19th Century Europe as explored in last years popular "Exquisite Bodies" exhibition (for which I provided curatorial assistance), a screening of obscure films which influenced the Brothers Quay, an art exhibition opening party, and illustrated lectures on hermaphroditism, posthumanism, Japanese paper theater and spiritualism by a variety of artists, scholars and authors. Full details for each of the seven (!!!) events follow below. Very much hope to see you at some, all, or even one of these amazing events! "Angels, Animals and Cyborgs: Visions of Human Enhancement"
** Note: This event is followed by the free Substructure Superstructure exhibition--featuring artworks by Friese Undine-- opening party, which will begin at 9:30. Posthumanism is currently a hot term in certain scientific and academic circles. Deplored by many as yet another fashionable post, defended by its supporters as a term that reflects our current fears, hopes and changing reality, posthumanism is an attempt to think seriously about the effects that technology and its rapid pace has in our society, our bodies and our minds, and to consider that these effects might change the human species as we know it. Throughout history, the desire to transcend the limitations of our condition as biological beings has been constantly present. From theological discussions regarding the nature of the human body after the resurrection of the flesh, to the projections of today’s futurists, and including figures such as the Golem, Frankenstein’s monster, angels and cyborgs, our culture has imagined bodies with wider possibilities than ours. Myth, science, art and literature have treated the topic of body enhancement, considering its pros, its cons and its limitations. 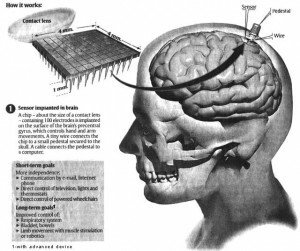 In a time when pacemakers, prostheses, cloning and cryogenics are making these old dreams of human enhancement a reality, it can be fruitful to look back and compare the wildest fantasies of posthumanism with its intellectual predecessors, to get a better picture of what is going on. This lecture will touch on some key examples of visions of human enhancement, in order to put the hopes and dreams of posthumanism in perspective, and try to sketch a genealogy of this set of ideas. Salvador Olguin was born in Monterrey, Mexico. He holds a Master’s degree in Humanities by the Instituto Tecnológico y de Estudios Superiores de Monterrey, and he worked as an Assistant Professor and Course Coordinator for three years in that same institution. He is a writer and playwright, and has published poems and essays in magazines –such as Tierra Adentro, Parteaguas, Revista de Literatura Mexicana Contemporánea and the journal Anamesa, among others– both in Mexico and the United States. His research interests orbit around the conjunction of death, the body, technology and representation. He quit his former job and life in order to come to New York, where he is currently a second year student in the Draper Masters Program in Humanities and Social Thought. "Manga Kamishibai: The Art of Japanese Paper Theater, 1930 to 1960"
Before giant robots, space ships, and masked super heroes filled the pages of Japanese comic books–known as manga–such characters were regularly seen on the streets of Japan in kamishibai stories. Manga Kamishibai: The Art of Japanese Paper Theater tells the history of this fascinating and nearly vanished Japanese art form that paved the way for modern-day comic books, and is the missing link in the development of modern manga. During the height of kamishibai in the 1930s, storytellers would travel to villages and set up their butais (miniature wooden prosceniums) on the back of their bicycles, through which illustrated boards were presented. The story boards–colorful, hand-painted, original art drawn with the great haste that signifies manga, glued on cardboard and lacquered to protect them in the rain–told stories ranging from action-packed westerns to science-fiction stories to ninja tales to monster stories to Hiroshima stories to folk tales and melodramas for the girls. Golden Bat, a supernatural, cross-eyed, skull-faced superhero; G-men; Cinderella; the Lone Ranger; and even Batman and Robin starred in kamishibai stories. The storytellers acted as entertainers, acting out the parts of each character with different voices and facial expressions, and sometimes too, they became reporters, when the stories were the nightly news reports on World War II. Kamishibai was so popular and widespread, that when television hit Japan in the mid-1950s, it was known as denki kamishibai–electric paper theater. Tonight, author Eric P. Nash will tell the story of kamishibai as detailed in his gorgeous new book Manga Kamishibai: The Art of Japanese Paper Theater. He will also bring in a genuine kamishibai set from the 1930s and make copies of his book available for sale and signing. Eric P. Nash has been a researcher and writer for the New York Times since 1986. He is the author of several books about art, architecture, and design, including Manga Kamishibai: The Art of Japanese Paper Theater, MiMo: Miami Modernism Revealed, and The Destruction of Penn Station. His work has also appeared in The Wall Street Journal, The San Francisco Chronicle and Discover magazine. ***PLEASE NOTE: Please be advised that this event will contain graphic images that may be offensive to some viewers. Although American society prides itself on the appearance of sexual liberation, intersexed people–traditionally called hermaphrodites–remain a taboo subject. Little is known and much is speculated. It is a topic that both fascinates and repulses, and too often it is easy to overlook the human element and instead see an object of confused sexuality and genitalia. Tonight’s lecture looks to break through some of these walls with the discussion of the book Genital Abnormalities Hermaphoditism & Related Adrenal Diseases. Published in 1937 by John Hopkins University, this medical text contains over 50 years of studies on intersexed cases; procedures used to “fix” this problem, and most importantly the stories of the people whose lives were forever altered by the result of a genetic mutation. 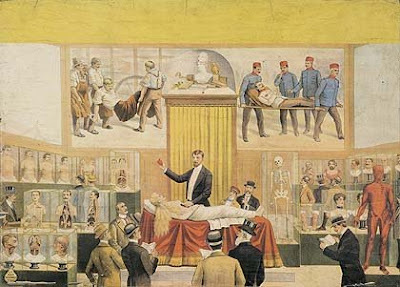 Discussed will be the surgical techniques employed on patients (predecessors of today’s genital reassignment surgeries), the lives of the patients behind the case numbers, and lastly modern repercussions of Hermaphoditism. Halli Gomberg is a 2011 candidate for Master of Fine Arts in Design and Technology at Parsons, The New School. There, she specializes in motion graphics and interactive web technology. She has always fostered a passion for the obscure and forgotten elements of humanity. This has led her to build an impressive curiosity cabinet of rare medical photos, books, religious reliquaries, and antique glass. Her animation and physical computing work can be seen here. Tonight, Kate Forde of London’s Wellcome Collection will deliver an illustrated lecture detailing the rise and fall of the popular anatomical museum in 19th century Europe as detailed in The Wellcome’s recent ‘Exquisite Bodies’ exhibition. The ‘Exquisite Bodies’ exhibition, which was curated with the assistance of Morbid Anatomy’s Joanna Ebenstein, was inspired by the craze for anatomy museums and their artifacts–particularly wax anatomical models–in 19th century Europe. In London, Paris, Brussels and Barcelona displays of wax models became popular with visitors seeking an unusual afternoon’s entertainment. The public were invited to learn about the body’s internal structure, its reproductive system and its vulnerability to disease–especially the sexually transmitted kind–through displays that combined serious science with more than a touch of prurience and horror. At a time when scandal surrounded the practice of dissection, the medical establishment gave these collections of human surrogates a cautious welcome; yet only a few decades later they fell into disrepute, some even facing prosecution for obscenity. This talk will trace the trajectory of these museums in a highly illustrated lecture featuring many of the historical artifacts featured in the show. To find out more about the exhibition ‘Exquisite Bodies,’ click here and here. Kate Forde is Curator of Temporary Exhibitions at the Wellcome Collection, London. She is interested in the role of museums in the shaping of cultural memory and in the display of fine art within science-based institutions. Her current research is taking her from the great dust-heaps of Victorian London to Staten Island’s landfill Fresh Kills for an exhibition with the working title ‘Dirt’. You can see a preview of tonight's lecture by clicking here. Although The Brothers Quay are a union of imagination completely their own, they have been influenced by specific Eastern European animators. On August 30th Thyrza Nichols Goodeve will present a selection of films from Walerian Borowczyk, Jan Lenica, Priit Pärn, Yuri Norstein, and Igor Kovalyov followed by various animations from the Polish and Zagreb school who might sit happily, albeit covered with dust, inside a Quay-esque universe. Thyrza Nichols Goodeve is a writer and interviewer active in the field of contemporary art and culture. She is on the School of Visual Arts faculty, active in the MFA Art Writing and Criticism Program, the art history program, and the masters computer art and film programs. She teaches also in the MFA Digital + Media Program at the Rhode Island School of Design and is the program co-ordinator for the Maryland Institute College of Art (MICA) “MICA in NYC (DUMBO)” Summer Intensive program in Brooklyn, New York. She has published in Artforum, Parkett, Art in America, Artbyte, Guggenheim Magazine, The Village Voice, Tribeca Trib and Camerawork. Spiritualism is a loosely organized religion based primarily on a belief in the ability to communicate with spirits of the dead. The movement began in upstate New York in 1848 when two young girls named Margaret and Kate Fox claimed to be in contact with the spirit of a dead peddler buried beneath their home. Photographer Shannon Taggart first became aware of Spiritualism as a teenager when her cousin received a reading in Lily Dale, NY, The World’s Largest Spiritualist Community. A medium there revealed a strange family secret about the death of their grandfather that proved to be true. Taggart became deeply curious about how someone could possibly know such a thing. Thus began a five year photography project focused on Modern Spiritualism. During her image making she immersed myself in the history and philosophy of Spiritualism, had more readings than she can count, experienced spiritual healings, took part in séances, attended a psychic college and sat in a medium’s cabinet, all with her camera. Despite this exposure she finds herself no closer to any definitive answer of what it all means. She feels as if she has peered into a mystery. Shannon Taggart is a freelance photographer based in Brooklyn, New York. She received her BFA in Applied Photography from the Rochester Institute of Technology. Her images have appeared in numerous publications including Blind Spot, Tokion, TIME and Newsweek. Her work has been recognized by the Inge Morath Foundation, American Photography, the International Photography Awards, Photo District News and the Alexia Foundation for World Peace, among others. Her photographs have been shown at Photoworks in Brighton, England, The Photographic Resource Center in Boston, Redux Pictures in New York, the Stephen Cohen Gallery in Los Angeles and most recently at FotoFest 2010 in Houston. For more about Shannon Taggart, visit www.shannontaggart.com. You can find out more about these presentation here, here, here, here, here, here and here. You can get directions to Observatory--which is next door to the Morbid Anatomy Library (more on that here)--by clicking here. You can find out more about Observatory here, join our mailing list by clicking here, and join us on Facebook by clicking here.